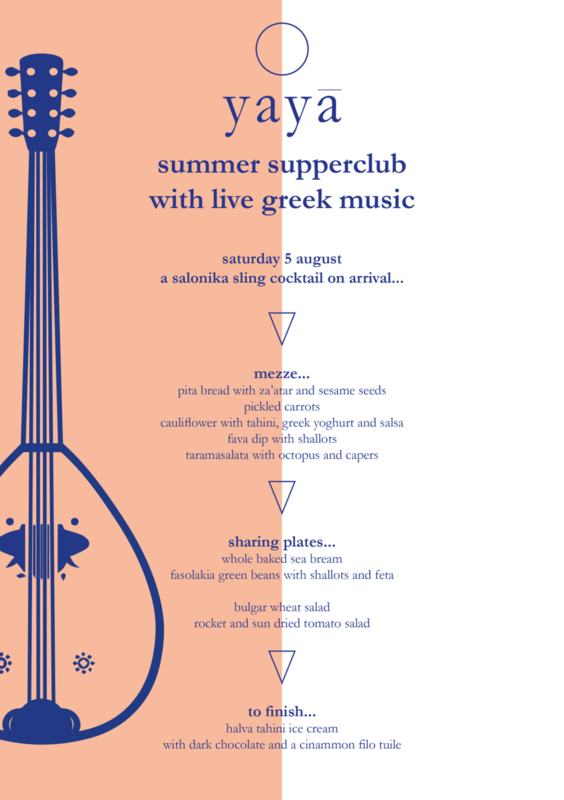 join us for a special supperclub on saturday 9 february at hackney coffee company; an evening based around sharing homemade greek food, sharing a table with both friends and strangers and enjoying the beautiful supperclub space in central hackney..
our supperclub consists of 3 courses of sharing plates and one drink on arrival. included in the ticket price is all the food you can eat and a welcome cocktail...any extra drinks can be brought along BYOB. this is the third in our grape and oil series with our friends – local greek deli, isle of olive in hackney – to bring you an intimate evening focusing on grape and oil. our menu places an emphasis on one of greece’s most important ingredients, olive oil, while isle of olive will guide you through unique greek wine choices curated to the menu throughout. our supperclub consists of 3 courses of sharing plates and one welcome cocktail on arrival, all included in the ticket price. an optional wine pairing can be purchased at isle of olive on the night for an extra cost– either our suggested recommendations or your own choices from a wider selection. you can expect both traditional and re-invented greek dishes made with a combination of authentic greek ingredients and locally sourced produce. let yaya cook you up a great spring dinner and let isle of olive curate your wine choices according to the menu. if you are vegetarian, or have any allergies, dietary requirements or food intolerances please let us know either before or once you have purchased a ticket. we will try our best to cater to your needs, but please note that some of the ingredients are integral so may not be able to be changed. come stretch, rest and feast with yayā! for a second time we are teaming up with our friend and amazing yoga teacher, sophia pym – to bring you a relaxing yin yoga class followed by a two course yayā greek lunch at a unique new creative space in east london, benk+bo. the class and menu will reflect the spirit of greek cuisine and philosophy – living well, balance in flavours and techniques, and happiness in the moment. you can expect both traditional and re-invented greek dishes made with a combination of authentic greek ingredients and locally sourced produce. if you are vegetarian, have any allergies or food intolerances please let us know once you have purchased a ticket. we will try our best to cater to your needs, but please note that some of the ingredients are integral so may not be able to be changed. for a second time we have teamed up with our friends – local greek deli, isle of olive in hackney – to bring you an intimate evening focusing on grape and oil. our menu places an emphasis on one of greece’s most important ingredients, olive oil, while isle of olive guide you through unique greek wine choices curated to the menu throughout. our supperclub consists of 3 courses of sharing plates and one welcome cocktail on arrival, all included in the ticket price. wine and other drinks can be purchased at isle of olive on the night – either our suggested recommendations or your own choices from a wider selection. you can expect both traditional and re-invented greek dishes made with a combination of authentic greek ingredients and locally sourced produce. let yaya cook you up a great autumnal dinner and let isle of olive curate your wine choices according to the menu. join us on a summer's night for a party! our supperclub consists of 3 courses of sharing plates and one drink on arrival. included in the ticket price is all the food you can eat and a welcome cocktail...any extra drinks can be brought along BYOB. You can check out the menu below! also included is an evening of listening to greek urban instrumental music originating in the eastern mediterranean from a greek rebetiko three piece group. 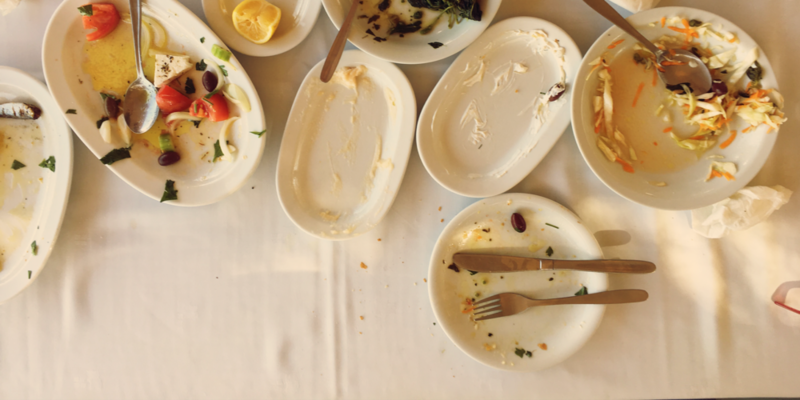 this time we have teamed up with our friends – local greek deli, isle of olive in hackney – to bring you an intimate evening focusing on grape and oil. our menu places an emphasis on one of greece's most important ingredients, olive oil, while isle of olive will guide you through unique greek wine choices curated to the menu throughout. our supperclub consists of 3 courses of sharing plates and one welcome cocktail on arrival, all included in the ticket price. wine and other drinks can be purchased at isle of olive on the night. tickets are now on sale for our greek easter supper! tickets are £35 and include a 3 course sharing menu, a welcome cocktail and some easter traditions! we will be at greenhouse in newington green serving sharing plates of classic greek easter dishes plus a special greek-inspired cocktail on arrival...we hope to see you there, xristos anesti! if you have any allergies or food intolerances please let us know once you have purchased a ticket. we will try our best to cater to your needs, but please note that some of the ingredients are integral so may not be able to be changed. join us at palm 2 in clapton on saturday 4 march for our latest special pop up event with a new winter menu accompanied by the sounds of amazing live greek rebetiko music. tickets are £40 and include a 3 course sharing menu, a welcome cocktail and lots of greek music! we've partnered up with yoga teacher sophia pym to present a 75 minute flow and restore yoga class followed by a yayā two course vegetarian lunch at greenhouse studios in hackney. the class and menu reflect the spirit of greek cuisine and philosophy – living well, balance in flavours and techniques, and happiness in the moment. we look forward to welcoming you on sunday 9 october at 1pm for this unique event! our supperclub consists of three courses of sharing plates and one drink on arrival. included in the ticket price is all the food you can eat, a welcome cocktail...any extra drinks can be purchased at the bar at nanna's. join us at the lovely nanna's in highbury for our first ever supper club! we'll be serving sharing plates full of classic greek dishes and a special greek-inspired cocktail on arrival...we hope to see you there!